Cryptocurrencies have been shrouded in mystery ever since their invention. Even the creator of modern-day virtual currencies, the so-called Satoshi Nakamoto, remains unknown. Whoever he, she (or they) may be, they developed and launched the world’s first cryptocurrency into a market that really didn’t know what to do with it. So is Bitcoin a currency, a commodity, or a security? As is true with so many things concerning Bitcoin and the slew of other cryptocurrencies that followed it, nobody really knows. However, cryptocurrencies are increasing in popularity despite all of the nay-saying of popular pundits and financial tastemakers. Virtual currency is becoming an increasingly significant part of the online financial services market, and the blockchain is finding applications in nearly every industry worldwide. As a result, financial regulators are starting to find ways to work this new wave of financial technology into existing laws. 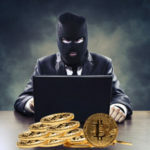 As cryptocurrencies are slowly integrated into mainstream finance and related regulation, the coin markets that were formerly characterized by mystery, fraud, anonymity and speculation are finding their niche in an increasingly digitized world. Defining Cryptocurrency; It’s Harder Than You’d Think! As cryptocurrencies become increasingly mainstream investments, financial agencies have struggled to classify them according to the categories recognized by traditional regulatory structures. The Commodity Futures Trading Commission (“CFTC”) regulates certain virtual currencies as commodities by nature of the fact that every crypto coin is more-or-less interchangeable with other coins of the same general nature and type. The Internal Revenue Service (“IRS”), on the other hand, defines cryptocurrencies as capital assets, like real estate or other valuable property. But frankly, the IRS doesn’t really care what you call them so long as you pay your taxes on cryptocurrency gains. Ironically, the only thing that U.S. regulators seem to be sure of is that cryptocurrencies are absolutely not money or legal tender, as such things can only be issued by a centralized government authority according. To the great frustration of virtual currency entrepreneurs everywhere, the Securities and Exchange Commission (“SEC”) says that cryptocurrencies are sometimes regulated securities and sometimes not – depending on the particular facts and circumstances. While this seems like splitting hairs, whether your Initial Coin Offering qualifies as a security or not can mean the difference between a capital raise successful enough to buy a fleet of Teslas for your hard-working developers or an unregistered issuance of a security that will land you in serious hot water with the federal government. In other words, a virtual currency is a security when some readily-identifiable person or business sponsors the creation of the asset and then releases it to third-party investors who expect to see some financial return. So, since Bitcoin was launched into the public domain by Satoshi Nakamoto rather than issued by an individual or business to investors looking for a return on their money, it’s not a security. Ether, which was not launched anonymously but is similarly decentralized, also squeaks by as a non-security. Ripple, on the other hand, may or may not qualify as a security – this very question is the subject of an ongoing federal lawsuit. So, What Is Cryptocurrency Anyway? Well, it depends. There is no uniform definition that can be applied to a new financial technology that is so widely used and broadly applied. Cryptocurrency is a security when it is used as a security, and it’s a commodity when it’s used as a commodity. It’s always a capital asset, since the IRS will come knocking if you try to say otherwise. But there’s one thing we know for sure – they are absolutely not legal tender, even when they are used for the purchase of goods and services.